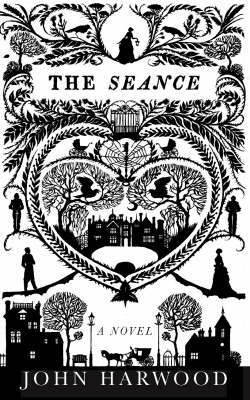 The Seance is the second novel from Australian writer John Harwood. His first was the amazingly creepy and wondefully gothic The Ghost Writer and his second novel carries on the gothic theme. Unfortunately, and most disappointingly, the novel largely falters and the writing never quite captures the atmosphere it deserves. The novel is set in the mid-nineteenth century where mesmerism, spiritualists and seances were at its height of popularity. A young girl, Constance Langton, is emotionally shunned by her mother who is overwhelmed by grief after the death of Constance’s younger sister, Alma, and is ignored by her father. Constance grows up lonely and detached and wonders if she is really a foundling, an orphan or child put up for adoption, since her parents never appear to hold any love for her. When her father abandons the family, a desperate Constance takes her mother to a seance where there is an understanding between Constance and the medium. Her mother is momentarily happy again when she thinks she has spoken to Alma but Constance’s mother soon tragically dies. Not long after the death, a lawyer named John Montague, gets in contact with Constance who has now inherited a mysterious and desolate manor called Wraxford Hall. She is advised the hall is a place where dark misforgivings has occurred in the past and to burn it down as nothing good has ever come to anybody who has owned the hall. The hall is also the site of a twenty-year-old mystery which has never been solved. In order for the story to be told, the narrative has been broken up into several sections from several different characters as it skips through the century. While it does work to some extent and it draws out the suspense, it never quite meshes and it jarrs the story. Constance’s narrative is not particularly interesting and it takes quite awhile to work into the story. It’s a good read but, unfortunately, it’s nothing memorable. I felt exactly the same way. I thought it was good, but I didn’t think it was anything memorable either. I didn’t like the ending either. I thought the main villain was killed far too easily. It was as if Harwood kind of got bored with the plot and decided to wrap it up as soon as possible. Still, I thought it was pretty good, and I have plans to read his first book “Ghostwriter,” which I’ve heard is much better. J.S. Peyton – the Ghost Writer is much more superior than this but the plot does tend to go a little…strange. If you read it, please let me know what you think of it! It’s well-worth reading, because although it is a bit disappointing, it does manage to convey the period, and that’s difficult enough in historical fiction. I would agree that the shifting perspective of time and place was probably not the best choice of internal structure for the narrative; it was distracting and hard to follow. I thought the author managed to convey the brooding ambience of the house, but I also found the pallid characterisation a problem, since I was left at the end not sure I cared what happened to Constance, but being haunted by the house.